Enjoy a comfortable typing experience on your iPhone or iPad with the Kensington Wired Keyboard for iOS with Lightning Connector. 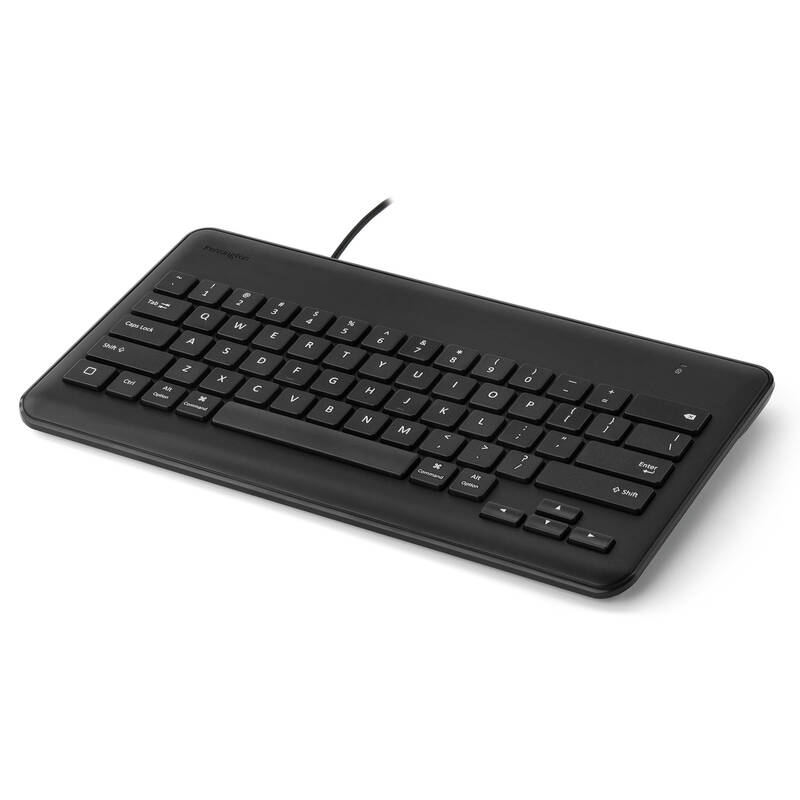 This keyboard eschews Bluetooth and batteries for a 24.4" Lightning cable that plugs into your iPhone or iPad, eliminating the need for pairing or for charging the keyboard. Each of the keys are full-sized and domed for natural typing and a familiar feel. The keyboard is Apple-certified as Made for iOS (MFi), and it exceeds PARCC and SBAC privacy requirements. Designed to withstand the rigors of classroom use, the keyboard is tamper-resistant and the keys were engineered to be difficult to remove. Box Dimensions (LxWxH) 12.7 x 7.4 x 1.1"